Close on September 24, so don’t miss out! 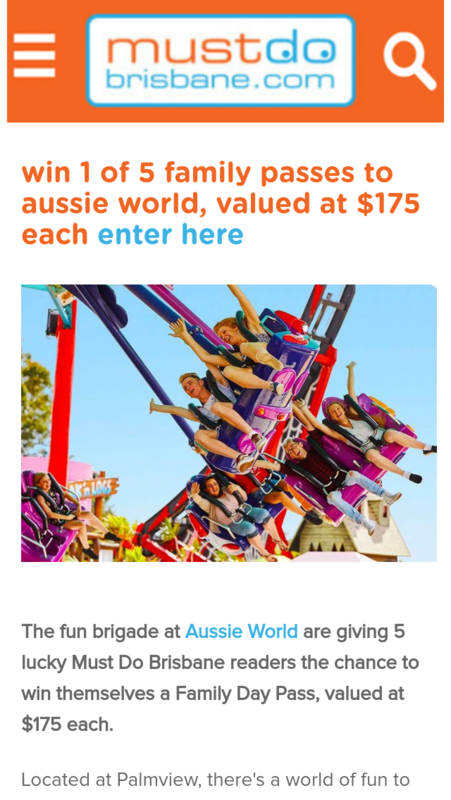 The fun brigade at Aussie World are giving 5 lucky Must Do Brisbane readers the chance to win themselves a Family Day Pass, valued at $175 each. Winners who will each receive a Family Day Pass. prize pool is $875. Winners will be contacted by phone or sent a confirmation email. prize automatically allocated to the runner-up. 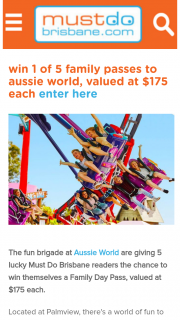 To win themselves a Family Day Pass, valued at $175 each.